Office of the Village Treasurer will be at the Village Hall; all materials will be kept there; all monies collected there; Village Clerk will collect in Treasurer’s absence. Salary for the Treasurer, $150 per year; salary for Clerk, $1400 per year. Village election will be on March 19 from 10 a.m. to 7 p.m. Petition to be put up for vote: to install a Fire Alarm System for the Village, not to exceed $2500. Annual reports from Street, Water, Sewer, Light, and Fire Commissioners; Finance Committee; and Village Treasurer read and put on file. Copies to be printed and sent with water bills. Salary of the Street Commissioner will be $450. Bill from W.W. Chadsey for extra engineering services on the Outlet Sewer & Screening Chamber ($180) was referred to Village Attorney about legality of claim. F.F. Lamboy appointed Superintendent of Water & Sewers and Plumbing Inspector. Charles W. Matthews appointed Assistant, Water & Sewers, to be paid $1150 and he will pay rent at the pumping station house of $12.50 per month. The Street Commissioner will employ George Kiefer as driver of the village team at $75 per year. He can also hire labor, at not more than 30 cents/hour for ordinary work, and not more than $3 per day for special work. Schenectady Trust Co. will be the official Village bank. The President can provide for police protection at not more than $25 per month. The President is given full power to direct the Village Engineer to furnish grade stakes when he deems it necessary and proper. The Superintendent of Water & Sewers may hire a utility man for $75 per month, with additional ordinary labor at $2.50 per day, or special work at $3 per day. Fred R. Lindsey will be the Village Engineer at $7.50 per day for engineer and 1 assistant, and $10 per day for engineer and 2 assistants. The Schenectady Gazette is the official Village newspaper. The Village safe deposit box is at the Schenectady Trust Co.
Burglar insurance will be purchased for the Village Hall. Maurice B. Flinn will be the Village Attorney at $800 per year. The Finance Committee report was read and approved. The resignation of the Village Assessor, Frank E. Haselo, was accepted. Samuel M. Hillis was appointed. The President is authorized to purchase a new steel tank for the street sprinkler and a new dump wagon for the Street Department, not to exceed $350. The attorney determined that the bill from W.W. Chadsey for engineering services was not legal and it was disallowed. 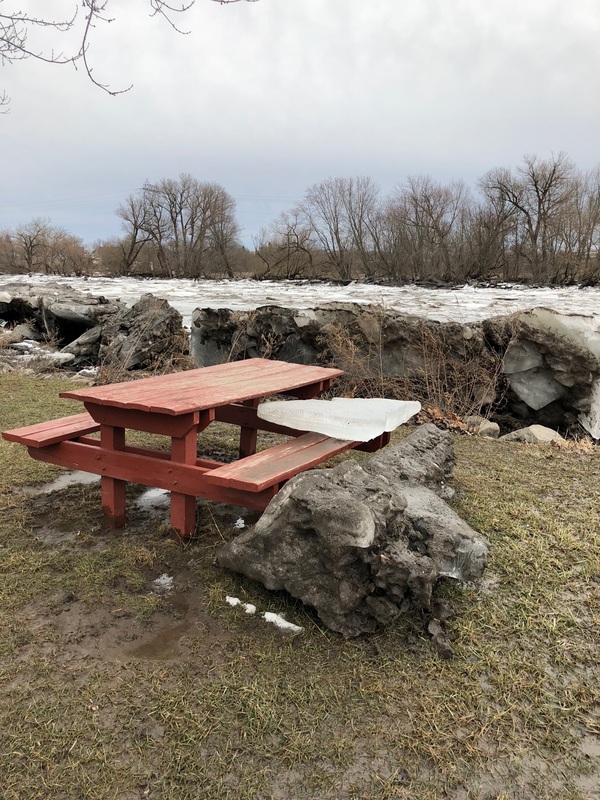 The Water Committee will be instructed to provide a second vacuum pump rotor and switchboard for pump #3, other changes as necessary, not to exceed $600. Roof of Village Hall to be reslaged [sic] and coated, not to exceed $165. Clerk to purchase one or 2 boat pumps for Street Department, not to exceed $20. A committee of 2 (Lasher & Ford) was appointed to select a team of horses, get an option, and report back. Standing committees for the year are Finance, Water, Buildings, Sewer, Light & Railroads, Streets. R.C. Weaver declined the Treasurer position and LeRoy R. Wood was appointed. The sixth installment of the Schon-o-wee Rd. assessment is due May 1; also the fourth installment of Ballston St. assessment. Accounts for the Street Commissioner and Clerk for last year were approved. A petition from 4th Street for sewers was referred to the Sewer Committee. A petition for a cement sidewalk on the NW side of Ballston St. was received; hearing to be held May 6. A vote of thanks to the Scotia Home Defense League for their offer to assist in maintaining order in the Village; the Village President will make arrangements as he is Chief of Police. Application of Fred Borelli for sewer on Wallace St. referred to Sewer Committee. Application for light on Meriline St. referred to Light committee. Application for water main in 5th St. east of Wallace referred to Water Committee. Stanley E. Ford resigned as Trustee: Walter W. Miller appointed for 1 year. Harry Van Epps appointed Fire Commissioner for 3 years. Applications for sewer extensions were approved where most needed: Lark, Toll, Robin, and Jay Streets. Tile to be purchased at bid price from George E. Van Vorst. Superintendent of Sewers will do the work. Clerk to purchase 3500 stamped envelopes for the Water Department, not to exceed $75.60. Materials for the extension of the water main on 5th St. east of Wallace will be purchased and Superintendent of Water will install. Village Clerk to purchase new cutter blade for street scraper. New street lights will be installed at: SE corner of 4th & Huston; 4th St. halfway between Huston & Root; corner of Sacandaga and Toll; corner of Wallace and 5th. Paper and muresco [paint] will be procured for the village house at the Pumping Station. The President will look over the grade conditions between Vley Rd. and the Schoolhouse on First Street with the Village Engineer. The Water & Sewers Superintendent is authorized to employ one extra utility man not to exceed $2.90 per day. Clerk will send letter of regrets and thanks for 3 years service as member of board and 3 years service as Fire Commissioner to Stanley E. Ford. Committee changes: Jacob Schuler will chair Finance and Buildings; Walter W Miller will serve on Sewer and Finance in place of Schuler. 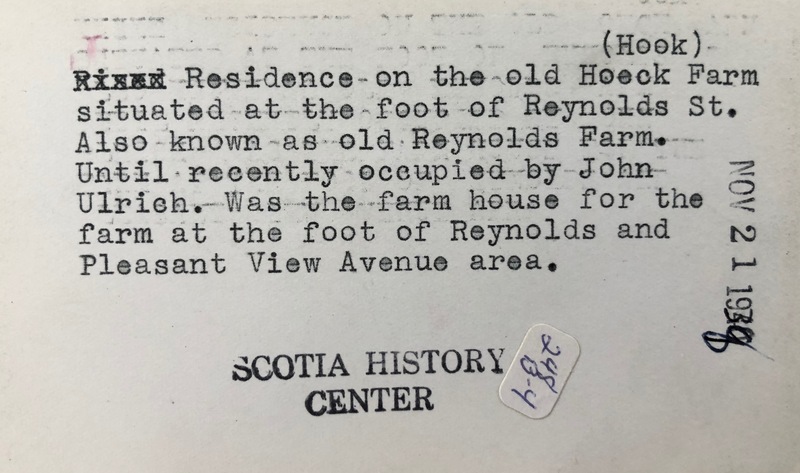 Report of the committee on obtaining horses. They have an option on a team of sorrel [reddish-brown] horses weighing approximately 2600 pounds, priced at $550, recommend purchase from Patrick Myers. Approved. President authorized to purchase one set double harness at $110. 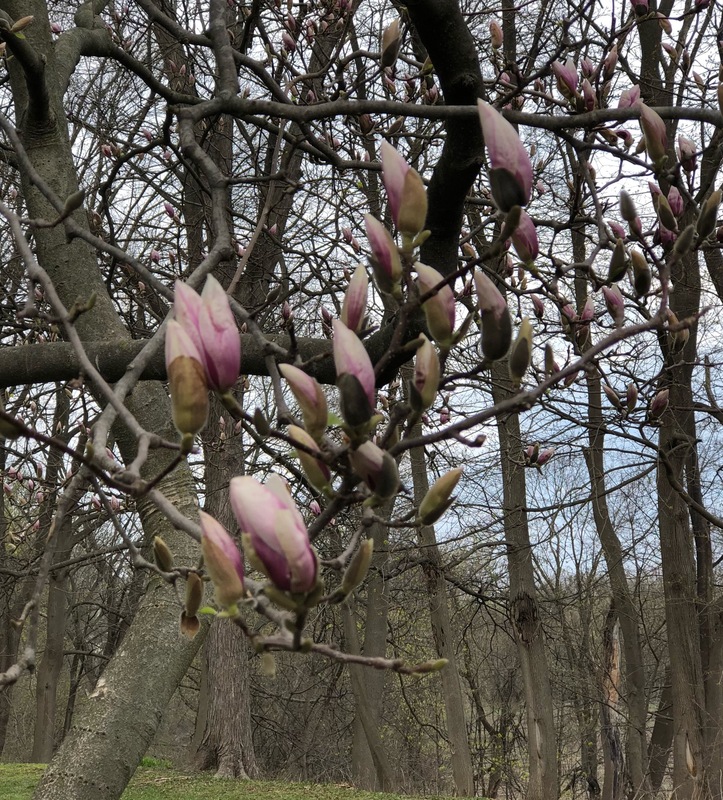 It only took a couple of warm days for the magnolia to start blooming! It is marked “Underhill Edge Tool Co.” Underhill Edge Tools was founded by George Underhill in 1852 in New Hampshire. There were several companies that merged throughout the 1800s, and this name was probably not used after 1890. 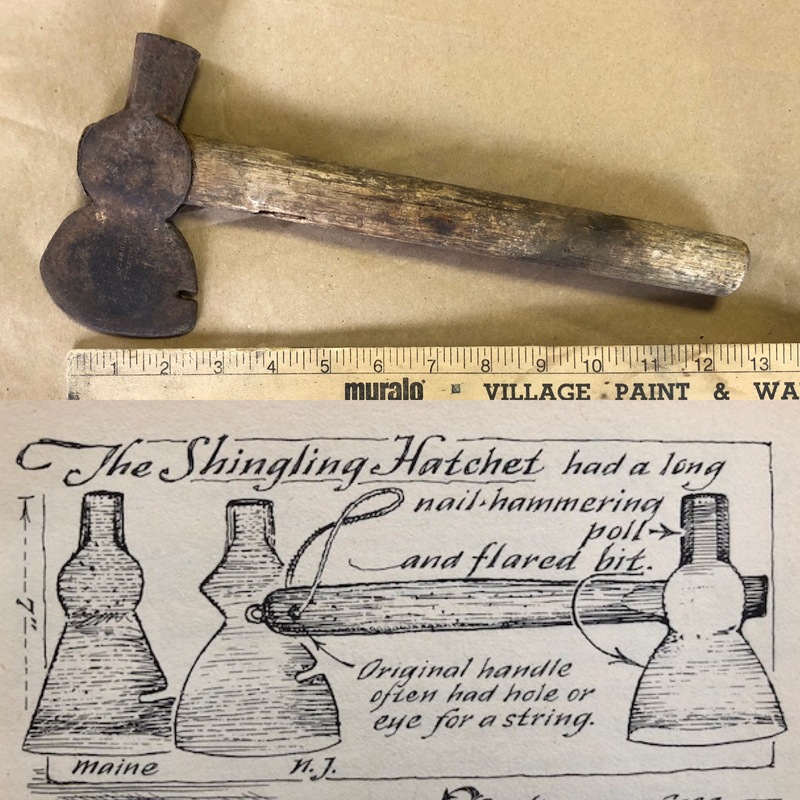 There may have been Underhills making tools in New Hampshire as early as the late 1700s. 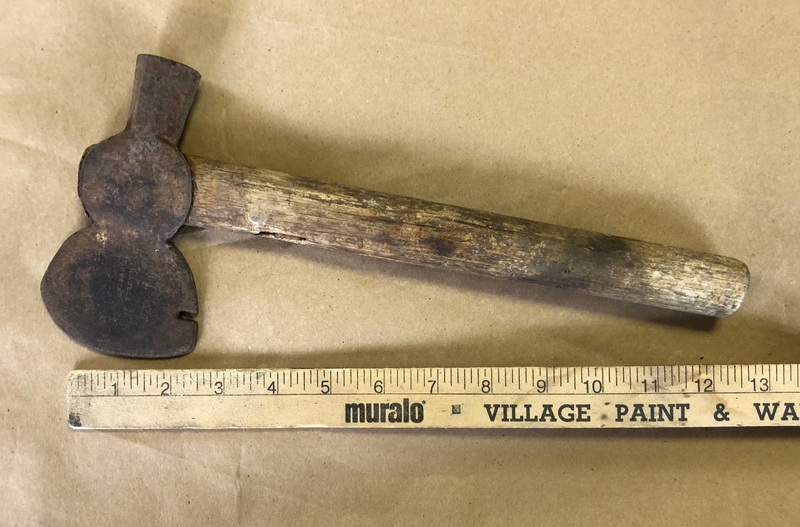 Some sources call this a carpenter’s hatchet, and you can find a few YouTube videos about using this type of hatchet for any small wood-shaping task, such as trimming pieces to make camp furniture. 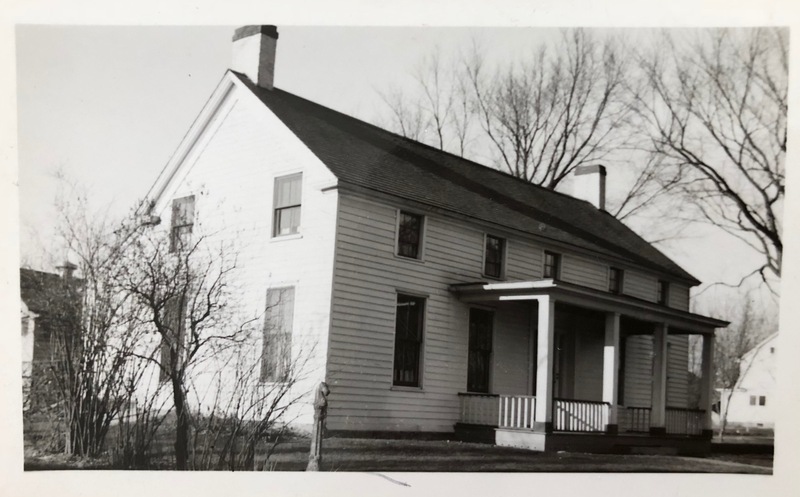 Back in 1961, when J. Glen Sanders died, his widow, Pearl, decided to sell the house. It was hoped at first that the house and furnishings could be kept together, but when that didn’t work out, the house contents were sold separately to Colonial Williamsburg. The collection contains 218 items, plus manuscripts. 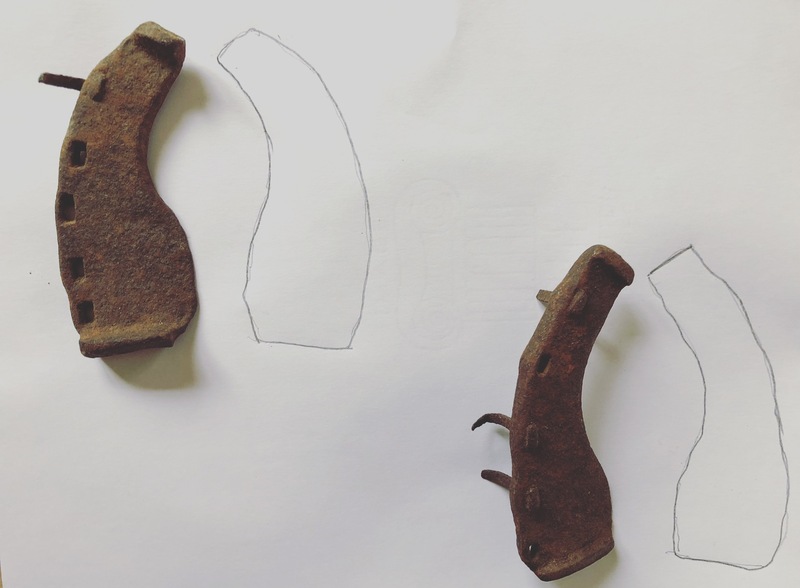 Last spring I was in Colonial Williamsburg and had a chance to meet with curators Angelika Kuettner, Kim Ivey, and Janine Skerry to chat about the collection and to view some of the artifacts in their storage facility. 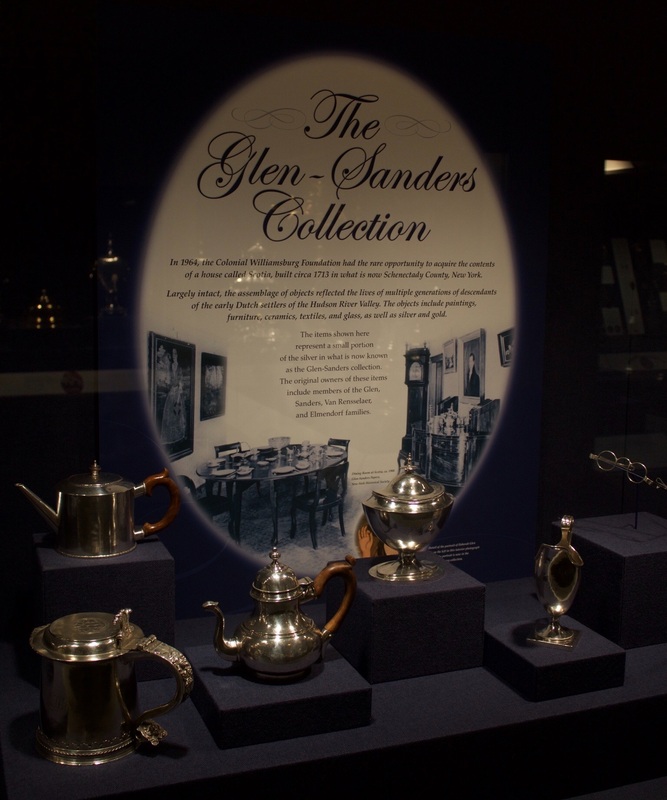 Many items are being used in the historic houses and shown in the museums, and I had a great time searching for them as I toured the various buildings. If you’re going to Williamsburg, get in touch and I can give you some tips. The Flint House has several pieces of stoneware that were made by Israel Seymour (at one of his various pottery shops) in Troy, NY. He died in 1852, and his son continued the business. 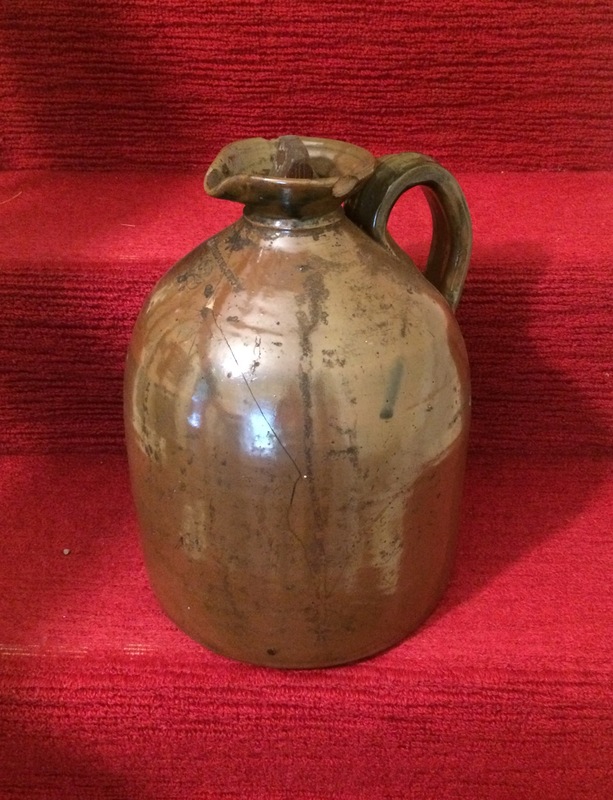 The brown jug (with an unusual glaze) and the crock (missing its lid) were probably made between 1828 and 1850. 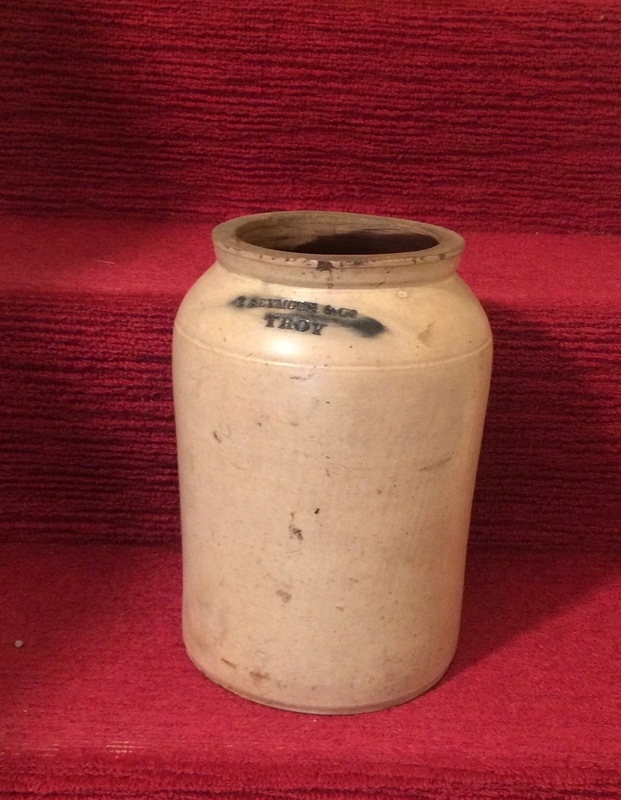 The 2 gallon jug with the elaborate number 2 probably dates between 1861 and 1885. 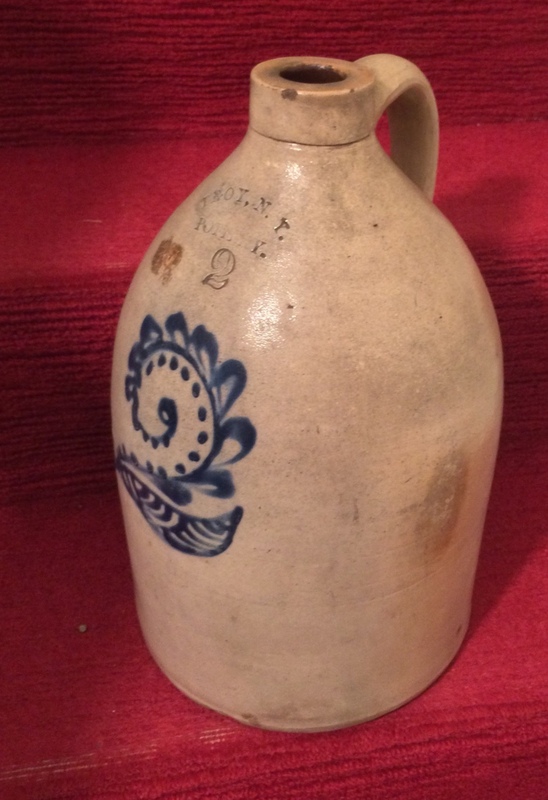 These types of stoneware were common pieces in everyone’s kitchen, for storing liquids like cider, vinegar, and liquor, and dry goods of all types. Thank you to Stacy Draper for sharing information from the 2012 Rensselaer County Historical Society exhibit about local potters. For more information on the local pottery industry in the 1800s, try Pottery Works, by Warren F. Broderick and William Bouck, available through your local library. Bond sold related to the Drainage Sewer Refunding Bond Sinking Fund. Dudley Toll Hill, Justice of the Peace of the Town of Glenville, who lives in Scotia, appointed Acting Police Justice of the Village [for year 1918]. Action related to Street Fund notes. New filing cabinets for the Village Clerk to be purchased, not to exceed $55. To be purchased for Village Hall: 4 new Four-in-One electric light fixtures, with installation. The Sewer Committee will sell the items to be removed from the Pumping Station; proceeds will benefit the Village. Matters related to the finances of the Third Street sidewalk. Ellis B. Edgar has not lived up to the terms of his contract for constructing the outlet sewer and screening chamber. He will be responsible for any damage caused by his delay. Joseph Clark finished the decorating of the Village Hall and will be paid $125. Pay Ellis B. Edgar part payment of his sewer contract. Payroll and bills to be paid; approved. Action related to the payment of interest and principal on upcoming outstanding bonds. List of taxes not paid for 1917 (mostly house lots), unpaid paving and curbing assessments. Agree to share cost with the Town of Glenville ($30 each) to make a map of the plot known as Harwell in the Village, laid out and sold by E. Z. Carpenter. Approval of payroll and bills. Payments to the special Street Fund. Pay Ellis Edgar on his sewer contract. The reward of $10 for information leading to the arrest and conviction of those breaking streetlights was claimed by William H. Barhydt and Bernard Mabee. They will split the reward. RESOLVED that these Resolutions be spread [sic] on the minutes of this Board and a copy of same sent to the family of the deceased. The Board would prefer Mr. C. P. Sanders present his proposed proposition on paving through a petition signed by 25 taxpayers. Details related to reallocating surpluses from various departments to other parts of the General Fund. Received a report from the Engineer about the outlet sewer. The Sewer Committee will report on the best method to complete the work. While the Village was incorporated in 1904, Scotia is also celebrating its 360th birthday this year. 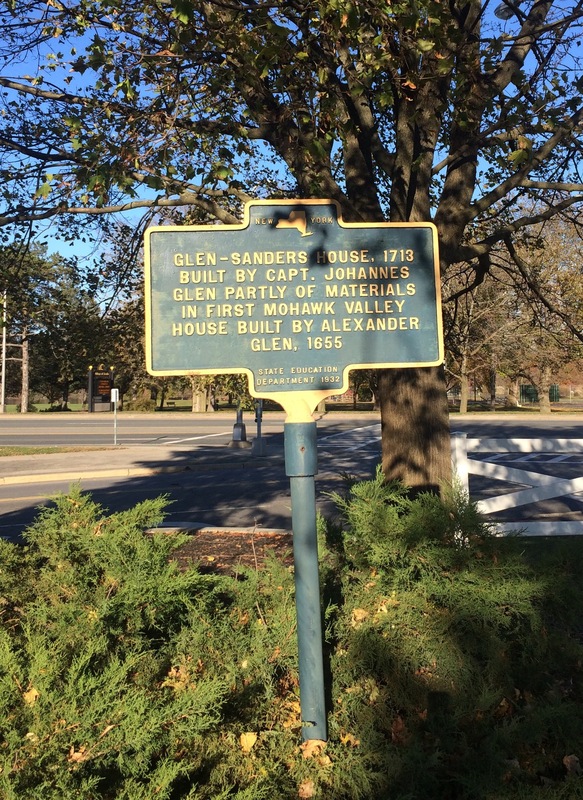 Despite what it says on the marker (located on the edge of the Glen-Sanders Mansion parking lot), most sources agree that Alexander Lindsey Glen—who appears in Dutch records as Sander Leendertse—built his house on the Mohawk in 1658 and called it Scotia, Latin for his homeland of Scotland. He chose a fertile spot on the river, at the point where the Native Americans crossed over to the south side. He was the first European to settle on the north side of the Mohawk River. Because the first home site was prone to flooding—we just experienced this year’s version, as you can see in the photo—Alexander’s son, Johannes, rebuilt in 1713, up above the river. We’ll be planning some fun events for our 360th year, and will be posting more about Alexander Lindsey Glen and his family. Now that so many more old Dutch documents have been translated by the New Netherland Institute, there is much new information to share. If you are interested in more historical markers, try the book The Markers Speak by John J. Birch. It’s available at the library. These are ox shoes. Since they are mismatched, part of 2 different sets. Oxen are commonly steers that have been trained to do work, usually in pairs. Since oxen are bovines they have cloven hooves, so they need eight separate shoes. Oxen provided power for farm work before engines were common, and still are working hard in many places today. If the Shoe Fits, Wear it. Or in This Case, Wear 16!